Teen Self Defence Classes in Teddington! 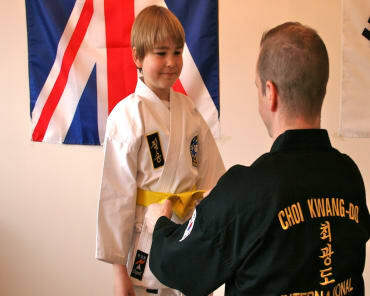 At Clarke School of Choi Kwang Do our Adult Martial Arts/Self Defence Classes start from 13+ years of age. On the younger end of our class are our Teenagers learning the basic, intermediate and advanced techniques of Martial Arts. Teenagers bring a lot of Energy and Focus to the Adult Class making for a more well rounded Adult class. 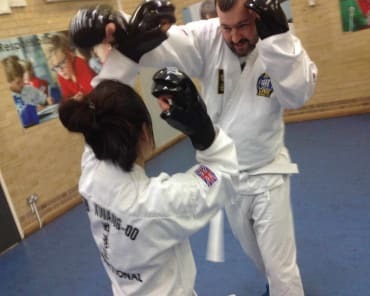 Here are a couple of our students working of their blocking and striking techniques which gives a lot of confidence in dealing with confrontation covered in every class. If you would like your Teen to come and try our class book them in for a FREE trial class now at Clarke School of Choi Kwang Do to get them on their way to achieving the internationally recognised rank of Black Belt!